Why should we Lutherans care? Why should we Lutherans care about the U.S. Virgin Islands? A challenge from Prince of Peace, Greensboro. Most importantly, we Lutherans should care about the Virgin Islands (the three-island territories’ capital is on St. Thomas known as “Charlotte Amaile,” St. Croix and St. John’s) because these residents are people of God who are suffering in immeasurable ways due to recent storms. Secondarily, an overwhelming number of indigenous residents of the Virgin Islands have Lutheran roots dating back to the 1600’s. For everyone who is putting together kits and/or quilts for Lutheran World Relief (LWR) here is the 2017 fall collection information. There is a form to be filled out. Complete that and return to Rachel Price (see the form for her contact info). Partners in the gospel–that is who we are as congregations, the NC Synod, and the churchwide organization. 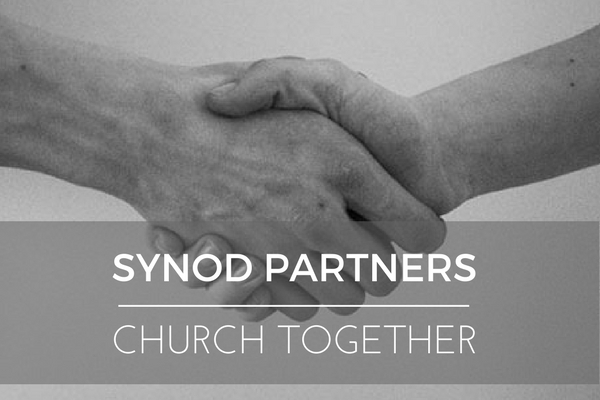 Synod Partners is the name given to the current synodical effort designed to help all of us discover and celebrate how we are church together.